Preparing for summer 2018 as we watch God do great things! Entering into a new fiscal year in April, Bible Family Fellowship was losing our two Chinese exchange students to graduation and we wondered if we'd see any college students again! We now have FOUR Chinese students attending worship regularly and two Japanese students came for the first time this week! Please pray that our relationships with college/exchange students will continue to grow. As a result, our regular attendance is holding strong at an average of around 28~30 people each week. Our place of worship is getting pretty crowded. Pray with us for wisdom in what to do about our limited space! Our 7 weeks of travel in the states were blessed to say the least. We were able to connect with almost all of our Texas and Arizona supporting churches and individuals. We also were able to establish a new relationship with a Japanese church in Sacramento! 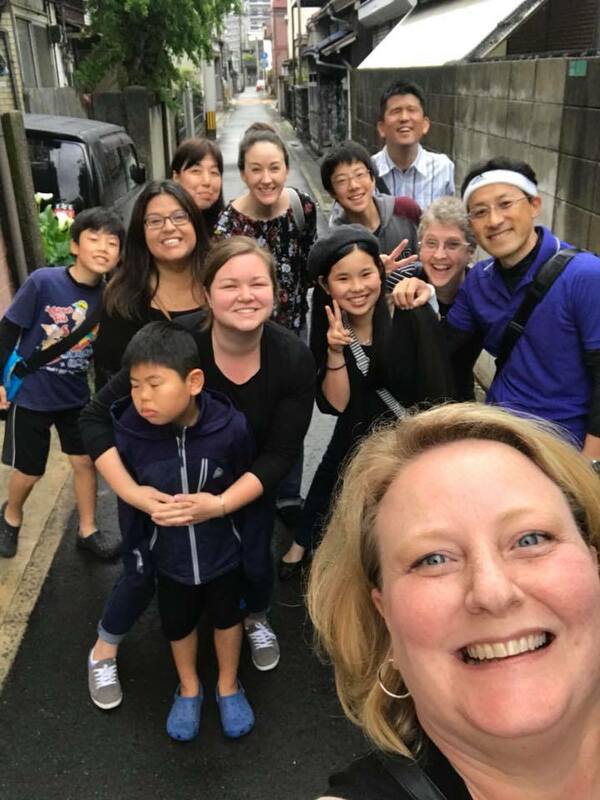 It is so humbling and encouraging to connect with those of you who pray for us regularly and also make financial sacrifices to support the work God is doing through Aroma Ministries here in Japan! Our verbal expressions of thanks do not seem to come close to adequately conveying how very thankful we are and what a bless it is to know each of you. Your desire to glorify Jesus and see His Kingdom grow is inspiring to us. I loved that as we visited each of you, we were able to see YOUR ministries up close and watch you in action sharing the Gospel message. Thank you for coming along side us in His Kingdom work and we look forward to the next time we get to connect! The work here at home continues to keep us busy and we are excited about how we see the Lord at work. One of our members has started her own Bible study and is reaching out to three of her unbelieving friends. THIS is what we want to see happen through the believers in our fellowship! Upon our return from the US, we immediately hosted a mission team from Crosby, Texas for 10 days. It was a wonderful week! They helped us do a lot of work on the Aroma House, painting, repairing, landscaping, and decorating. They made regular Bible studies and ministry special with their testimonies and participation. Most of all, there was a wonderful Saturday of outreach through the Downtown Texas Festival which drew at least 100 people off the streets to enjoy games, prizes, music and fun! Then the week was topped off with special discipleship time in a marriage, child raising and relationships seminar!!! We are so thankful for this team and the impact they made that week! At the end of May we also enjoyed our yearly pastors retreat in the mountains (the photo you see at the beginning of this newsletter). It is always a week of rest an encouragement as we spend several days in God's incredible creation, among amazing friends in ministry. I (Marla) slept a LOT and left refreshed and ready for more work! After School Klub continues to be a blessing to about 15 children each Friday. We are slightly down in numbers for the Spring semester because of schedule conflicts, but a couple of students promise to be back in the Fall! Please continue to pray that as these children learn the Word of God each week, and their families start to spend time with our members, the Gospel message will take root in their hearts and impact the whole family! Tuesday Night Bible study has added a couple of new members, and we have a new location! It is good to watch this group continue to seek community and fellowship in our weekly meeting. Pray that they meet Jesus in a personal way and come to faith in Him! In July, we will again minister through music and message at Summer Bible camp with Seinan Jo Christian school's Jr. High and High School students. We always look forward to these three days where we can connect on a more personal basis with the girls we see each month in chapel. Our Bible study at the school is also proving to be a wonderful time of ministry. The 10~15 girls who come have asked that we have the Bible study as often as we possibly can (it was supposed to be only twice a month). They REALLY get into the lesson each week asking excellent and thoughtful questions! They are also begging to have an "English intensive sleepover" with us sometime this summer. We are working to make that possible. Pray that as we continue to spend time with these girls, their longing to have a personal relationship with Jesus will grow, AND that they will make time to join BFF in worship! The Texas Team is once again gearing up to come serve with us the last few days of July and first week of August. We will be having Summer School (VBS) with a Kingdom University theme! The kids will come every day to the Kingdom University campus to fill their minds and hearts with the knowledge of our King Jesus and the Gospel message. Pray for this summer ministry week and for HUGE impact on many lives!!! 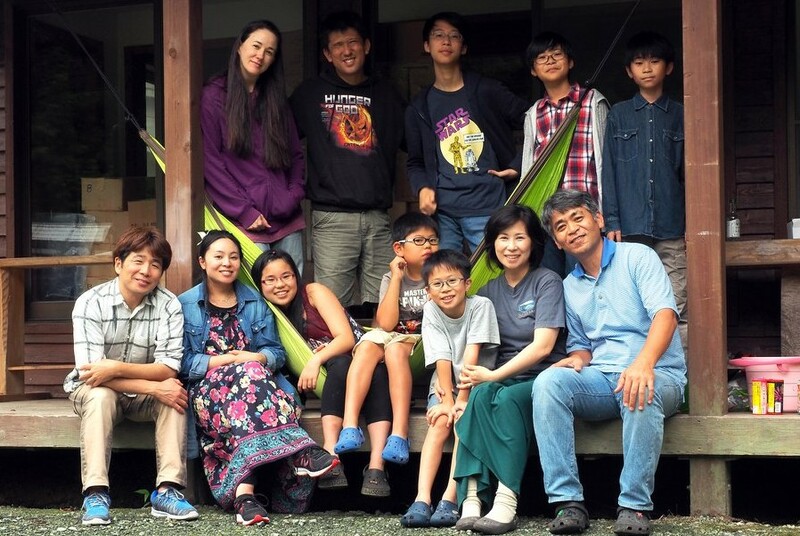 On a personal basis, you can praise God that the Ayatsuka Family has made it through a very busy season and life seems to have settled back into a sort of "normal". The Lord has given us incredible health through this busy time, and also protected us and kept us safe through uncounted miles of travel! He is so GOOD to us! We have only two more weeks of homeschool left in this academic year. Hana will be graduating from Jr. High (8th grade) and beginning High School in the Fall. Kai is finishing up his 3rd grade year! Rocky is planning to get back into the studio for the first time in a couple of years. We still pray and wait patiently for the Lord to show us HIS will for ministry partners. We appreciate you praying for us and the ways you encourage us with messages and gifts!